A refugee camp on the West Bank in Palestine would seem an unlikely place to find a burgeoning new theater company but don't tell the courageous members of The Freedom Theatre. 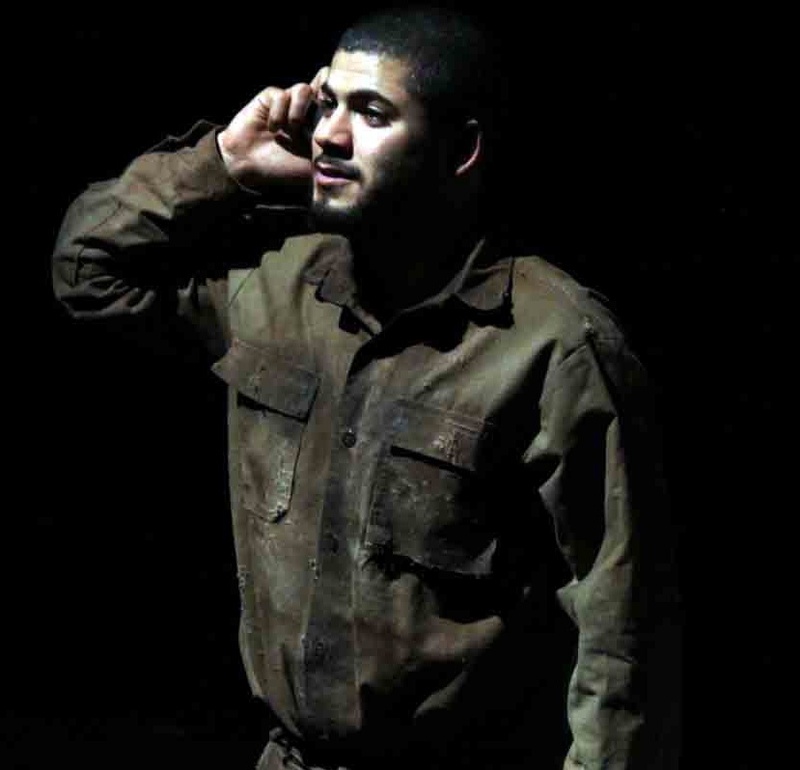 Founded as an independent cultural center in the Jenin Refugee Camp in 2006, The Freedom Theatre was the dream child of Israeli-Palestinian actor Juliano Mer Khamis. To the inspired founding theater head, "My dream is that The Freedom Theatre will be the major force cooperating with others in generating a cultural resistance, carrying on its shoulders universal values of freedom and justice." These lofty goals were severely challenged on April 4, 2011 when Mer Khamis was shot and killed in broad daylight just steps away from The Freedom Theatre. To date, no one has been charged with his murder. Mer Khamis is often quoted for saying about himself "I am 100% Palestinian and 100% Jewish." The Freedom Theatre is traveling to America and to the University of Connecticut as part of a four stop tour, for three performances Friday, September 6 at 7 p.m. and Saturday, September 7 at 2 p.m. and 7 p.m. at the Nafe Katter Theatre. The tour will continue in Providence, Washington, D. C. and New York City. 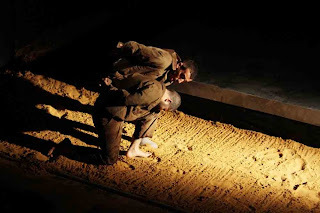 The play they are offering is "The Island" by South African playwright Athol Fugard, a play that explores the lives of two prisoners in the apartheid regime. Inspired by a true story, it is set on the infamous Robben Island where Nelson Mandela was imprisoned for almost three decades. At the center are two prisoners, John and Winston, who by day shovel sand in a never-ending labor that does not move the grains any closer to completion. By night the men rehearse a play, the tale of "Antigone" by Sophocles. 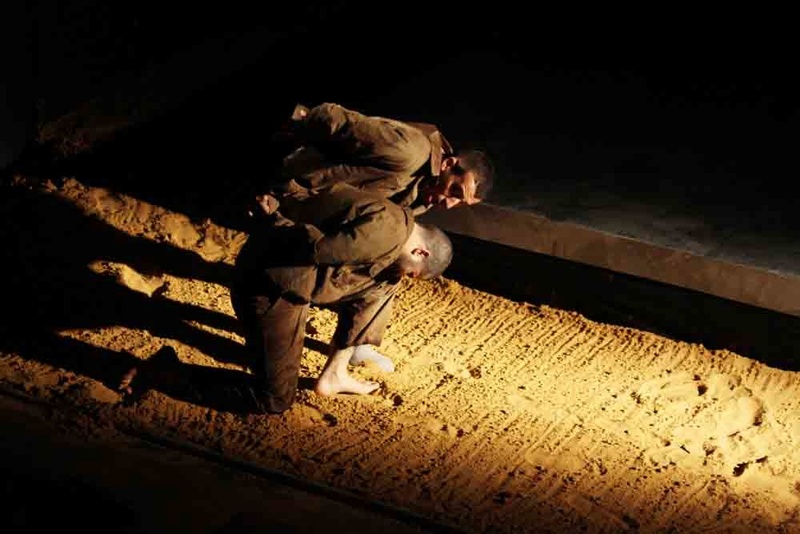 This powerful tale of an unlikely friendship and the challenges of achieving a level of humanity in this terrible ordeal will star Faisal Abu Alhayjaa and Ahmad Alrakh, both residents of the Jenin Refugee Camp. 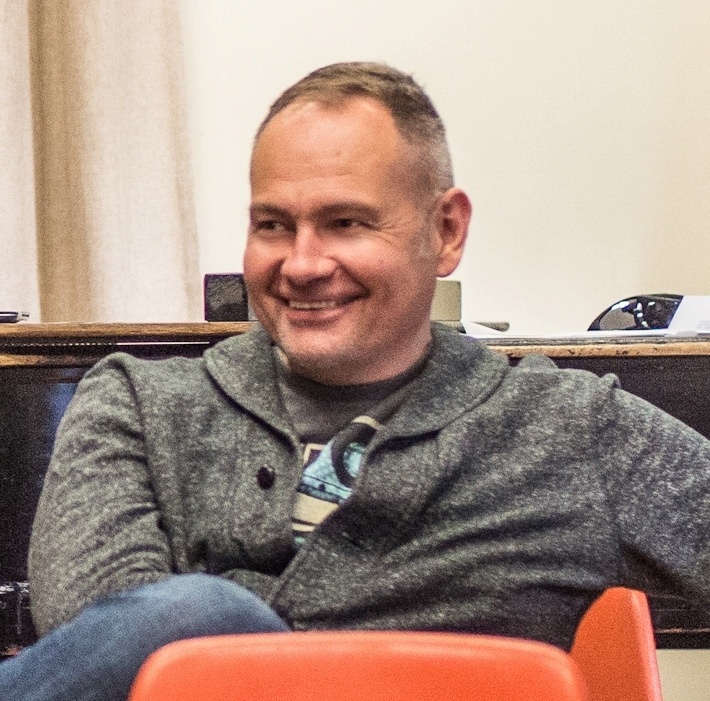 According to Gary M. English, Professor of Dramatic Arts at UCONN and director of this dramatic piece, " 'The Island" is political drama at its best, with political ideas embedded within the characters and their experience. It is universal in its themes - including the tragedy of those who anywhere in the world are unjustly imprisoned for purely political reasons, beliefs, or for simply speaking out against injustice." For tickets ($10), call the UCONN box office at 860-486-2113 or online at www.crt.uconn.edu. The productions are at the Nafe Katter Theatre, 820 Bolton Road, Storrs. Hope and despair collide as two prisoners almost become brothers as they are confined to a small space that, despite its size, doesn't limit their dreams. 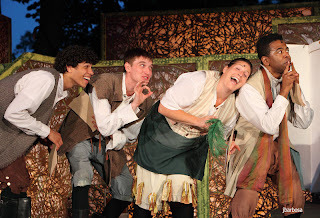 Take a blanket or a lawn chair, a picnic dinner, the children and even the well behaved family dog and join the Elm Shakespeare Company at Edgerton Park, 75 Cliff Street, New Haven for a visit with the Bard. Elm Shakespeare is so kid friendly, they even provide a packet of games to keep the little ones amused before curtain. Maybe dog biscuits will be next. Enjoying its 18th season of presenting fine works under the stars, the company's summer's dates are Tuesday to Sunday at 8 p.m. until Sunday, September 1, so don't wait a minute. The current offering is one of William Shakespeare's most intriguing, "Julius Caesar," and it will involve your attention for almost two hours, with no intermission. The dramatic tragedy of Julius Caesar, penned by William Shakespeare in 1599, swirls around his assassination on the infamous Ides of March, March the 15th, 44 B.C. As incredibly terrible as that event, engineered as it was by a group of senators headed by Cassius (Damian Buzzerio), a deeper tragedy is the disillusionment and betrayal experienced by Brutus (James Andreassi), Caesar's dear and trusted friend. Caesar (Tracy Griswold) has just returned to Rome after a great military victory. He has been offered a king's crown three times and he refused each time. But his enemies read into his actions a sinister plot by Caesar to make himself a god and a dictator. Cassius uses these fears, which he exploits for his own nefarious ends, to convince Brutus to join his conspirators. After the dastardly deed has been completed, Brutus realizes his grave mistakes. He loves Caesar, but he loves Rome more, and Cassius has deceived him. 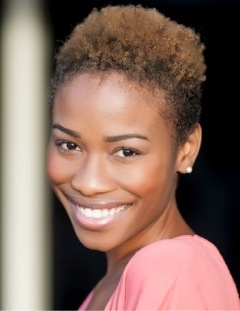 Joining in the plot are Casca,( Paula Plum),who drives the dagger into Caesar first, followed by Cassius, Decius (Robert Boardman), Cinna (Kenneth Murray), Metellus (Colin Lane), and Brutus. A confident Caesar ignores the warnings of a soothsayer (Robin Maitland), and by his wife Calpurnia (Andrea Goldman), and goes to the Senate to meet his fate. Caesar's immortal dying words to his once close friend, "Et tu, Brute?" (Latin phrase, Even you, Brutus? ), attributed to Shakespeare, convey his ultimate dismay. But disillusionment and betrayal are much in evidence in the role of Brutus, an honorable man manipulated to take part in a dishonorable deed. Brutus' wife Portia (Keely Baisden) kills herself because of her husband's actions. It is the task of Caesar's loyal comrade Marc Antony (Paul Pryce) to cleverly create the means of getting revenge against the traitors. Shakespearian purists, beware the lack of togas. This version is set in modern day dress of suits and military combat attire. 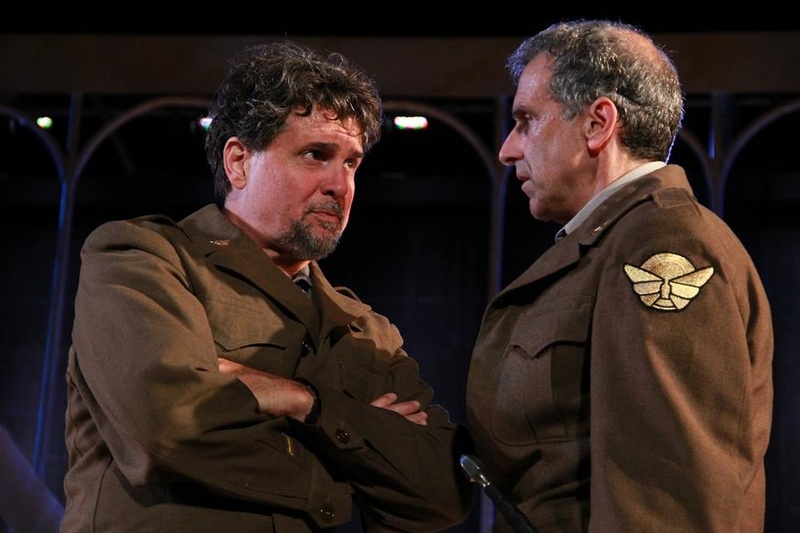 To James Andressi, the driving force of Elm Shakespeare, the play is relevant and timely in today's uncertain world where wars and mass killings are all too common. A Gala and Auction - Una Notte A Roma- A Roman Banquet under the stars! - an evening with a decidedly Italian flavor and theme is planned for tonight at Edgerton Park beginning at 5 p.m. with cocktails and a buffet, auction at 6:45 p.m. and curtain for the performance of "Julius Caesar" at 8 p.m. Auction items, online now and live that night, range from theater tickets, dinners at area top restaurants, a trip to Spain or the Canary Islands, a luxury rug from Kebabian's, an evening sail for 6 on a 51' sloop, handmade jewelry and much, much more. Food from pizza to pasta, tapas to cheese, scallops to lamb chops and, of course, a lavish dessert table will be available. Gourmet treats will be provided by Park Central Tavern, Temple Grill, L'Orcio, Ibiza Tapas, Le Petit Gourmet, Sage American Grill and Oyster Bar, Caseus Fromagerie and Bistro, P & M Orange Street Market, Lucibello's, Bread and Chocolate, Carol Merriman, the New Haven Lawn Club, Whitneyville Market, Puglia Wine Importers and Odd Bins. Tickets are $175 for patrons, $125 for friends, and $75 if you bring a friend who has never come before. The show is free but donation baskets encourage you to drop in a five or ten or twenty, to show your appreciation of the fine performance. Co-directed by James Andreassi and veteran actor Alvin Epstein, with almost entirely an Actor's Equity cast, Elm Scholars, New Haven high school students, are there to learn from the experts, everything from set design, to lights and sound, costumes and acting. Don't let the summer pass without a visit to Edgerton Park for a hearty dose of Shakespeare sure to please and pleasure. The marriage of Romeo to Juliet did not run smooth, as is the case with many unions with William Shakespeare serving as Justice of the Peace. Imagine, therefore, introducing modern music to the mix. Under the creative direction of Annie DiMartino, the Director of Education at New Haven's Long Wharf Theatre, an energetic troupe of young performers will wed modern tunes to the Bard's immortal words in "Shake-it-up Shakespeare" performed on Stage II Thursday - Sunday, August 22-25. This is the fourth year of the project that involves high school and college students, ages 14-21, this year 27 as cast and 2 as back stage workers. You still have the doomed-to-fate, star-crossed youthful lovers who are from two families consumed with hatred. They are the victims of an enmity not of their making, but the teens suffer for the sins of their parents. DiMartino has added a modern soundtrack to the classic love story, thirteen songs in all, from pop stars like Taylor Swift, Mumford and Sons and The Dave Matthews Band, among others. In her version (read vision), the Montagues are dirt poor folks from Appalachia while the Capulets frolic in a world of wealth. According to DiMartino, "I've been intrigued by the idea of mudslinging. They hurl insults like daggers at each other. Everyone is stained by it, and this production will physically manifest that condition. No matter how beautiful things are on the outside, everyone is still dirty." The cast includes Chrystina Bonelli of Guilford; Jessica Coppola of North Haven; Alex Luft of Trumbull; Chloe Chappa of Oxford; Chrystina Bonelli of Guilford; Dawn Williams of Trumbull; Emily Roberson of New Haven; Hannah Scholnick of Madison; Henry Tobelman of Killingworth; James Taubl of New Haven; Jane Logan of Branford; Jeremiah Taubl of New Haven; Jessica Coppola of North Haven; Kiet Ho of East Haven; Lilly Holmes of Newtown; MacKenzie Stratton of Orange; Maggie Richardson of Wallingford; Matthew DeCostanza of Milford; Morgan Campbell of Westbrook; Nina Dicker of Old Saybrook; Oriana Mack of Woodbridge; Rachel Skalka of Woodbridge; Rebecca Liss of Woodbridge; Ryan Ronan of West Haven; Sam Taubl of New Haven; Samantha Edelman of North Haven; Sara Jadbabaie of Woodbridge; Shanen Seale of Milford; and Steven Smith of New Haven. Tickets are $10. 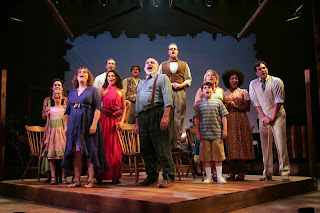 Call Long Wharf Theatre, 222 Sargent Drive, New Haven at 203-787-4282 or online at www.longwharf.org. Performances are Thursday, Friday and Saturday at 7 p.m. and 2 p.m. on Sunday. This production is so magical and remarkable that it should be videoed and sent to all high schools across the country. Come have fun with this unique interpretation of a tragedy by the Bard. Kudos, accolades, and bravo! What would you do if you were addicted to adrenalin rushes and adventurous risks? If jumping out of airplanes and leaping off bridges on a bungee cord were activities your body craved? A desk job would not be your first occupational choice but being a war correspondent or photo journalist, traveling to "hot spots" around the globe, might be your perfect position. Meet James and Sarah at a moment in their lives that threatens to explode all their preconceptions or cement all the possibilities of their relationship. 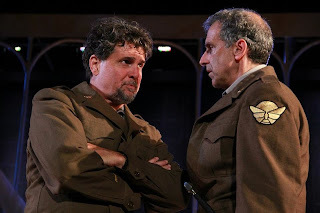 TheaterWorks of Hartford will present the intense drama "Time Stands Still" by New Haven playwright and Pulitzer Prize winner Donald Margulies until Sunday, September 15. The pressure of his position has taken its toll on James (Tim Altmeyer) and he has returned to the United States to their shared New York loft. When he learns Sarah (Erika Rolfsrud) has been caught in a bomb exploding in Iraq, that killed her interpreter Terek, he rushes overseas to be at her side. Carefully he escorts her back across the pond, wounded mentally and physically, and they are forced to reevaluate their personal and professional arrangements. A visit from their magazine editor and good friend Richard (Matthew Boston) raises lots of issues when he appears on their doorstep, with a new, much younger girl friend Mandy (Liz Holtan) in tow who naively raises questions. Mandy wonders aloud why they risk their lives, why Sarah takes pictures of catastrophes instead of doing anything to save lives, especially of wounded babies? When Richard and Mandy's relationship escalates to marriage and a baby, Sarah and James feel compelled to reevaluate their own and whether they can stay in this country and not return to a war zone. Perhaps they can recycle their careers to safer and more conservative turns, to make a lasting commitment to each other. Sarah's parents' failed marriage is a fearful memory, but perhaps it can be erased as an obstacle. Rob Ruggiero directs this intense and escalating confrontation of wills with a powerful hand. 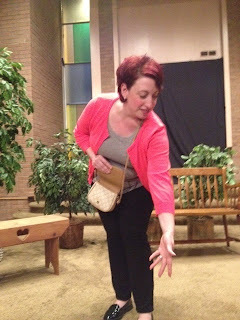 For tickets ($50-63), call Hartford TheaterWorks, 233 Pearl Street at 860-527-7838 or online at www.theaterworkshartford.org. Performances are Tuesday, Wednesday and Thursday at 7:30 p.m., Friday and Saturday at 8 p.m. and Saturday and Sunday at 2:30 p.m. Talk backs are Tuesdays August 27, September 3 and 10. Come early for a compelling display of photographs curated by the theater to demonstrate the perils of war and the emergency response to disasters. The lens of a camera and the words of a correspondent are powerful aphrodisiacs for two people addicted to action, but do they have the power to change their focus? A 2013 documentary film focuses attention on the backup singers behind the stars, the women who give their hearts and souls to the music but are rarely acknowledged in "20 Feet from Stardom." Their story could well be the story of a trio of girl singers from Chicago, The Dreamettes, who travel to the Apollo Theater in Harlem, New York for their one big chance, to win an amateur talent show. 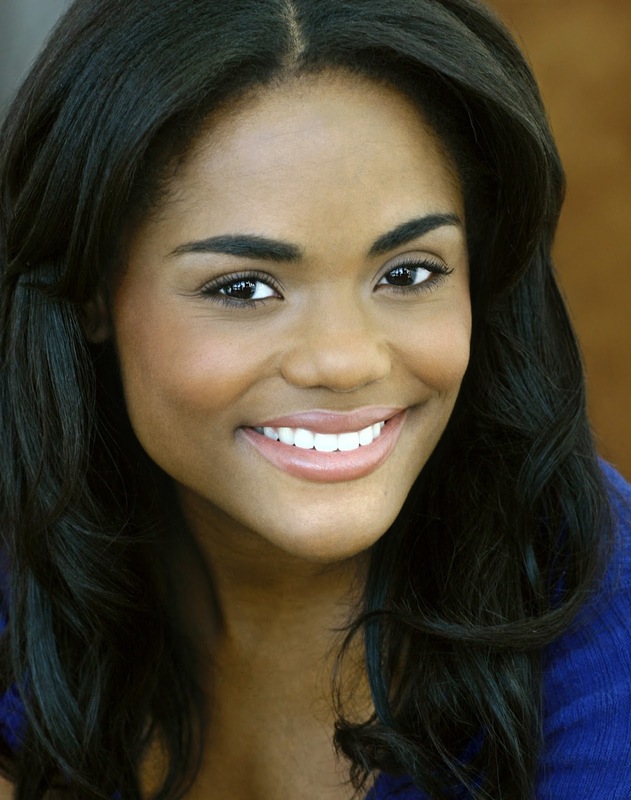 To follow the saga of Effie Melody White, Deena Jones and Lorrell Robinson, bogey over to Ivoryton Playhouse before Sunday, September 1 to enter the world of a Motown girl group in the 1960's and 1970's in the hit musical "Dreamgirls," with book and lyrics by Tom Eyan and music by Henry Krieger. Loosely based on the meteoric rise to fame of Diana Ross and The Supremes, "Dreamgirls" follows the struggles and successes and sacrifices of what it takes to make it to the top of the music charts. Effie (Sheniqua Denise Trotman), Deena (Jennlee Shallow) and Lorrell (Ashley Jeudy) are young and ambitious black women who desperately want to find fame and fortune. They tie their star to the coattails of a less than honorable promoter Curtis Taylor Jr. (Damian Norfleet) who promises them the moon. A used-car salesman, Curtis convinces a popular rhythm and blues star, James "Thunder" Early (Caliaf St. Aubyn) and his manager Marty (Collin Lyle Howard) to hire the Dreamettes as his backup singers, to launch their career. Effie's brother C.C. (Datus Puryear) is a great songwriter who writes tunes like "Cadillac Man," and Curtis convinces Early to branch out into the pop music market. With Curtis' promptings and dishonest probings, the girls and Early undergo dramatic changes, and conflicts arise that threaten all the relationships on stage and off. Egos are bruised and the personalities involved explode. Great songs like "Cadillac Man," "And I'm Telling You I'm Not Going," "One Night Only," "Steppin' to the Bad Side" and "Dreamgirls" propel the action through this powerhouse of a show. Lawrence Thelen directs these mega-talented stars as they try to climb over each other to the top. 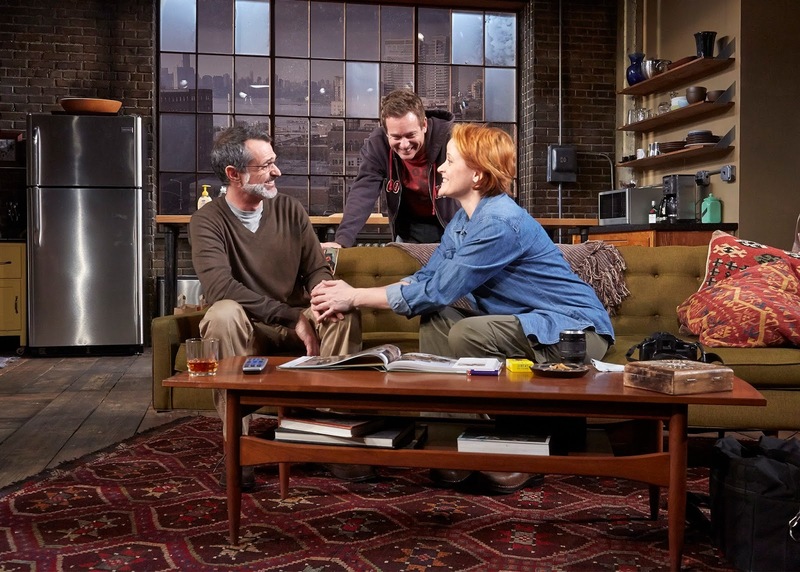 Ivoryton's intimate stage makes this an especially sensational show. Nowhere can a fairy tale fantasy morph faster into a nightmare horror film than on a blind date. Optimistic dreams can plunge from mountain tops to the depths of the sea within minutes of meeting. At first blush, he may look too conservative, over-dressed and the opposite of cool. She may appear hostile, hip and annoyingly hot. Meet Aaron and Casey and tag along with them on their "First Date." Created by a trio of clever writers and lyricists - Austin Winsberg, Alan Zachery and Michael Weiner, "First Date" just opened at the Longacre Theatre, 220 West 48th Street, New York City and dance cards are filling up fast. Aaron, a once burned, twice shy, three times a sweet guy in the hands of Zachary Levi, has reluctantly appeared at a New York restaurant to meet his fix-up date. Casey, a blase, too used to the dating game pool, "will I ever find the man of my dreams?" is coquettishly cute Krysta Rodriguez. It's almost instant hate, a condition exacerbated when Aaron discovers Casey is not of the Jewish persuasion. goes into action to exploit the problem. In this instance, Aaron's bubbe (grandma) will die a second death if Aaron marries a shiksa (a non-Jew). These confrontational allies and advisers prod Aaron and Casey into not bailing out, sticking with the game plan, and giving themselves a fighting chance. They each arrive with baggage, but Aaron is lugging along a trunk stuffed with his ex-fiancee. By the time the evening is over, love may definitely be on the menu. Bill Berry directs this foray into the single world where anyone can crash and burn or soar and fly in a moment's notice. Songs like "First Impression," "The Girl For You," "Safer" and "I'd Order Love" are just a few of the delights. For tickets ($35-137), call the Longacre Theatre, 220 West 48th Street, New York City at 212-239-6200 or online at www.telecharge.com or www.FirstDateTheMusical.com. Performances are Tuesday at 7 p.m., Wednesday to Friday at 8 p.m.,Saturday at 2 p.m. and 8 p.m. and Sunday at 3 p.m. and 7 p.m. The show is 90 minutes without an intermission. Root for Aaron and Casey to make it to dessert as their first date travels from horror to happy, disaster to dream, as they discover if they are destined to be "the one." His followers called him "The Singing Rabbi" and "The King of Kosher Concerts." His goal was "Tikun Olam," to fix the whole world by making it a better place, by giving it a song, hundreds of songs, to sing. With love and joy, Shlomo Carlebach devoted his life to his music, a unique brand of Chasidic Jewish melodies, over four decades, in more than two dozen albums. To learn how he embraced his heritage, go to the Circle in the Square Theatre, 50th Street west of Broadway, in New York City for the energizing and inspiring musical "Soul Doctor," featuring a book by Daniel S. Wise, lyrics by David Schechter and the music of Shlomo Carlebach. The son of a rabbi, with a religious legacy dating back ten generations, the young Shlomo (Ethan Khusidman or Teddy Walsh) grew up in Austria as Hitler rose to power. Fleeing their home, the family landed in America where Shlomo deviated from the path of his father (Jamie Jackson), his mother (Jacqueline Antaramian) and his twin brother Eli Chaim (Ethan Khusidman or Teddy Walsh), to follow the Chasidic way with Rabbi Schneersohn to become a missionary of sorts to "save" Jewish souls on college campuses. With a yarmulke on his head and a guitar in his hands, Shlomo, a dynamic but gentle Eric Anderson, invades the world of flower children and hippies, free spirits and drug addicts, offering them his blessing, preaching a message of love and peace. Along the way , he meets a young African-American jazz singer Nina Simone, played by a spiritually moving Amber Iman, and they are destined to profoundly change each other's lives. The folk-singing rabbi, who started out decades earlier as a young Yeshiva student who wanted to learn the whole Torah from his teacher Reb Pinchas (Ron Orbach) ultimately betrays his father's heritage and becomes a rock star. 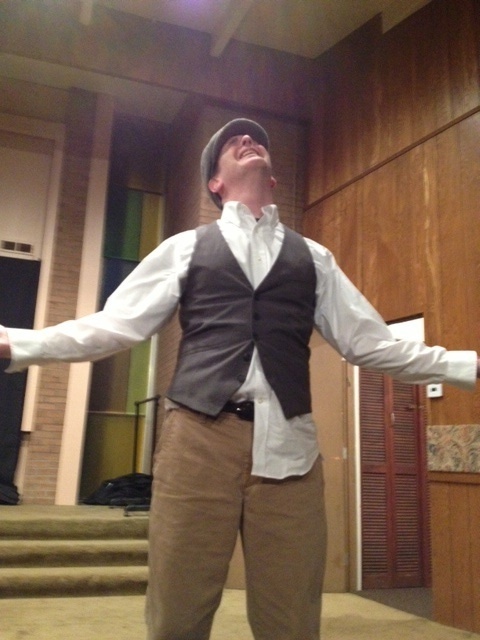 Even his brother (Ryan Strand) can't convince him to change. How he embraces his vision of a better world is a story worth hearing under the astute direction of Daniel S. Wise. The music of Shlomo Carlebach soars with ruach (spirit). For tickets ($39-135), call Circle in the Square Theatre at 212-239-6200 or online at www.telecharge.com or www.SoulDoctorBroadway.com. Performances are Tuesday at 7 p.m., Wednesday at 2 p.m. and 8 p.m., Thursday at 7 p.m., Friday at 8 p.m., Saturday at 2 p.m. and 8 p.m. and Sunday at 3 p.m. Follow this folk singing rock star rabbi as he travels, from Vienna to Brooklyn, San Francisco to Russia to Jerusalem and back to Vienna, devoting his life to the magic of music as he hears it in his Jewish soul. Mrs. Dolly Gallagher Levi is a woman of considerable talents and infinite skills, from providing social introductions to reducing those pesky varicose veins, teaching guitar, poker or dancing, reboning corsets or offering short distance hauling. Her primary claim to fame, however, is as a matchmaker. Think Yenta from "Fiddler on the Roof," but with more polish and personality. 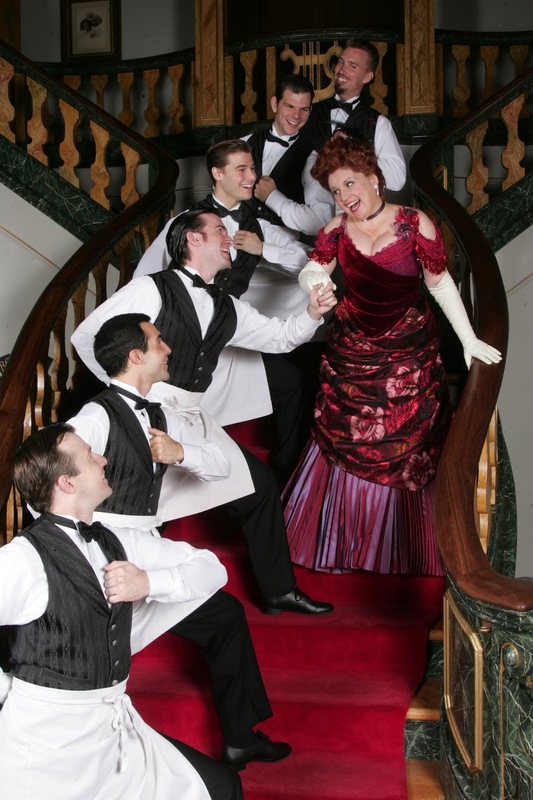 To make the acquaintance of the captivating Mrs. Levy, sashay over to the Goodspeed Musicals in East Haddam and say "Hello, Dolly!" Until Saturday, September 14, this charming musical with book by Michael Stewart and music and lyrics by Jerry Herman, based on the play "The Matchmaker" by Thornton Wilder, will grace the Goodspeed Stage. Klea Blackhurst's Dolly is delightful and is a clever and calculating lady, but in the nicest way possible, one who excels in arranging things. At the moment, she is on her way to Yonkers, New York to handle the delicate matrimonial desires of one Horace Vandergelder (Tony Sheldon), the famous half a millionaire. He runs a successful feed and grain store and worships money, but since his wife died he is lonely. As he sings "It Takes a Woman," with his clerks Cornelius (Spencer Moses) and Barnaby (Jeremy Morse), one wonders if he truly wants a loving wife or a capable housekeeper. Dolly has set her sights on Horace as a suitable match for herself, although he has no knowledge of her plan. She just needs a sign from her late husband Efraim that he approves. While Dolly is occupied handling Horace, she is also busy making sure Horace's niece Ermengarde (Brooke Shapiro) finds happiness in the arms of her suitor Ambrose (Charles MacEachern). She also manages to tie ribbons of romance around Cornelius and the suitable milliner Irene (Ashley Brown) as well as for Barnaby and the cute as a button Minnie (Catherine Blades). The scene in the Harmonia Gardens when a staff of skillful waiters headed by Rudolph (Jack Doyle) go through their polished paces like a well trained military corps is a delight. How Dolly "arranges" everything and everyone to perfection is a joy to behold. With a colorful parade of costumes by Wade Laboissonniere, on a versatile set by Adrian W. Jones, the smooth direction of Daniel Goldstein matches beautifully with the fancy footwork choreography of Kelli Barclay. Songs like "Put on Your Sunday Clothes," "Ribbons Down My Back," "Before the Parade Passes By," "It Only Takes a Moment" and the title tune are a deliicious to see and hear. For tickets ($27 and up), call Goodspeed Musicals, on the Connecticut River, East Haddam at 860-873-8668 or online at www.goodspeed.org. Performances are Wednesday at 2 p.m. and 7:30 p.m., Thursday at 7:30 p.m. and select 3 p.m., Friday at 8 p.m., Saturday at 3 p.m. and 8 p.m. and Sunday at 2 p.m., with select 6:30 p.m.
Let the versatile Mrs. Levi arrange a thoroughly captivating afternoon or evening of entertainment for you. You'll be singing her praises "wow wow wow" because it's so nice to have her right where she belongs. Kenny Rogers is famous for singing "You have to know when to hold. Know when to fold them," referring to a game of poker. The idea of strategy and determining which cards to keep and which to discard can apply to gin rummy just as well. The same rules of the game can also apply to life. 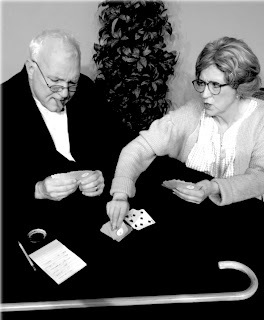 Playwright Donald L. Coburn fashioned himself a two character play "The Gin Game" that won him a Pulitizer Prize in 1978 and in his own words "The card game is a metaphor for fate and how the events of life are dealt to us. We have to play them as they come our way." This was Coburn's first play and it was initially performed on Broadway in 1977 starring husband and wife Hume Cronyn and Jessica Tandy, garnering Tandy a Tony Award for Best Actress in a Play. Husband and wife team Tom Roohr and Joanne Callahan-Roohr are continuing this fine tradition by performing "The Gin Game" weekends until Saturday, September 14 at the Connecticut Cabaret Theatre in Berlin. They are well suited to the dramatic task, playing off each other with a familiarity and affection. 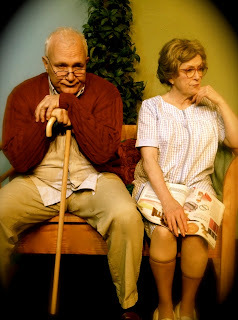 Weller Martin and Fonsia Dorsey have not entered the senior citizen stage of life easily or without pain. They both find themselves relegated to an outpost, neglected by family, abandoned by friends, to a retirement home that saw better days decades before. They are relics of a bygone era and they find each other because they are more verbal and mobile than all the other residents (substitute inmates). Over dozens of games of gin rummy, which Fonsia wins, much to Weller's dismay, anger and explosive outbursts, they reveal much of themselves to each other, secrets from the past that color the present day. Kris McMurray is the psychiatrist/producer/director who makes their sessions together meaningful, memorable and laced with a measure of menace. For tickets ($30), call the Connecticut Cabaret Theatre, 31-33 Webster Square Road, Berlin at 860-829-1248 or online at www.ctcabaret.com. Performances are 8 p.m. Friday and Saturday, with doors opening at 7 p.m. Bring goodies to share at your table or plan to buy dessert and drinks on site. Watch how Fonsia "plays her cards right" but, in the process, drives Weller crazy. QUESTION: Can a 74 year old retired Jewish postman from Brooklyn who loves to tease and talk find happiness and love with a taciturn strait-laced newlywed 35 year old Irish school teacher from Iowa? These two lonely and unhappy strangers meet in Jefferson Park and a rich and unlikely friendship and trust develops in Marvin Chernoff's bittersweet play "Chaim's Love Song." As they feed challah bread to the park's pigeons, pigeons Chaim has named for movie stars like Barbra Streisand, they reveal secrets and sadnesses and stories about their lives. To learn jokes about gorillas in delicatessens and lions in the circus, let Chaim, an affable Joseph Mallon, and Kelly, a sweet Dainelle Testori-Gartner, introduce you to the people in their world: Chaim's son Reuben (John Demetre), his daughter Rachel (Lisa Dahlstrom), his wife Tzwarah (Nancy Elyze Brier) and his best friend Oscar (Tom Costaggini). 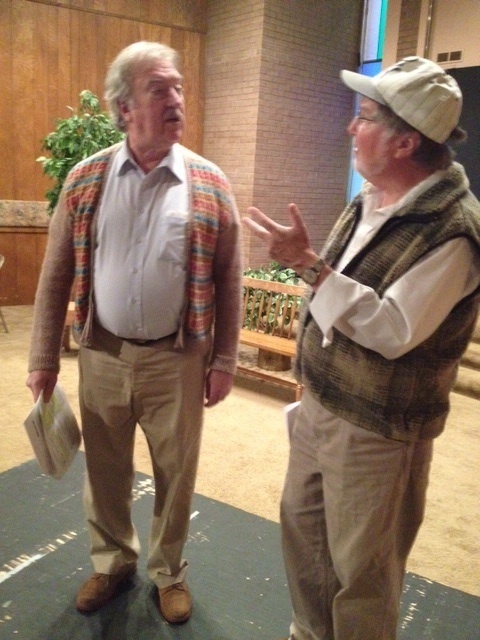 Mark Lambeck has been directing The Temple Players for 16 years as a labor of love. A playwright and actor himself, he founded the group, Connecticut's first Jewish theater group, at the former Temple Beth Sholom in Stratford. His goal is to bring issues in American Jewish life to a diverse audience of theatergoers, in retirement villages, churches and synagogues across the state. He directed " Chaim's Love Song" for the first time in 2003 but a major storm prevented its being seen by many people. 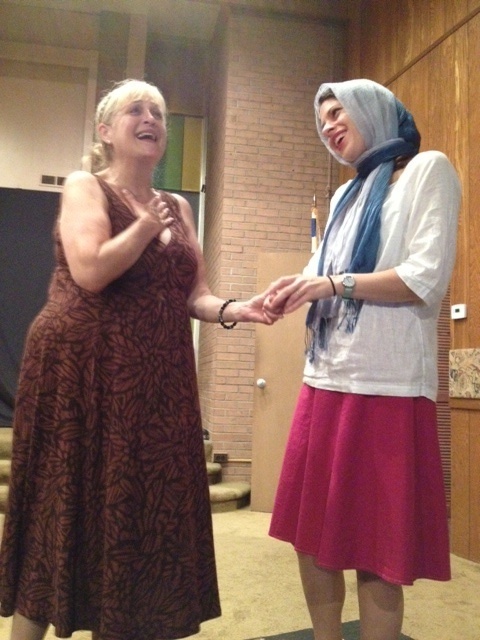 Feeling the show, which ran off-Broadway for 200 performances in 1998-99 deserved another chance, he has scheduled The Temple Players for an encore, a staged reading, on Sunday, August 11 at 7:30 p.m. at Congregation B'nai Torah, 5700 Main Street, Trumbull. Tickets are $10 and desserts and drinks will be available for sale. Come meet Chaim and Kelly and their friends in Brooklyn for an evening of schmoozing and such. To Shakespeare, if one pair of star-crossed lovers is good than two pairs must be even better. That is the comic premise on which his beloved “A Midsummer’s Night Dream” is based and you’re invited to join in the fun, frolic and family feud. The fact that “the course of true love never did run smooth” is being proven over and over. The Duke of Athens (Andrew Spieker) is planning to marry Hippolyta (Lila Smith) and festivities are under way. But all is not happy in the land. 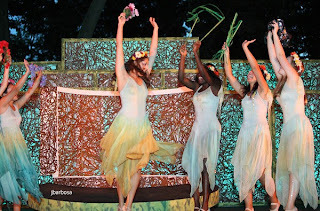 In the forest of Arden outside Athens, mischief is afoot and Cupid is running amok, with delightfully different consequences in the Connecticut Free Shakespeare’s wonderful and magical new production of Will Shakespeare’s classic comedy of romance “A Midsummer’s Night Dream” through Sunday, August 11. McLevy Green on Broad Street in downtown Bridgeport has been transformed so that the trees are magenta, gold and aqua and welcome you, on blankets and beach chairs, with or without picnics, to a spectacular place where anything could happen. Romantic triangles become complex geometric shapes as the Bard tangles the heartstrings in this involving tale of fairies and wood sprites and couples who think they are in love but are mistaken and couples who aren’t in love but are destined to be. Confused yet? The story spins along out of control once Oberon (Jonathan Holtzman), the King of the Fairies, decides to play a trick on his bride Titania (Saluda Camp) and urges his confederate Puck (Eric Brian Nyquist) to put drops of a flower potion in her eyes while she is sleeping. When she wakes, she will have a strong and powerful attachment, however unsuitable, for the first person or animal she sees- in this case, a donkey- headed dunce named Bottom (Ian Eaton) who is thoroughly engaging in his role. Hee-haw! Also loose in the dark woods are two sets of lovers from Athens, Hermia (Caitlin Chuckta) who thinks she loves Lysander (Mark Friedlander) and Demetrius (Brian Vaughan) who claims to adore Hermia too and poor Helena (Rebekah Dunn) who is gaga over Demetrius. True love never did run smooth in Shakespeare’s time because Hermia’s father Egeus (Matthew Catalano) not only forbids her to marry her choice, but orders her to a nunnery or to death if she disobeys. No wonder she runs off into the forest, with Lysander in chase, followed quickly by Demetrius and the fair Helena. The merry chase continues in this nocturnal soup as the fate of a changeling child (Christopher McGoldrick) is questioned and an amateur acting troupe tries to perform a perfectly ridiculous tale of “Pyramus and Thisbe Meet a Lion.” The troupe of mechanicals, tradesman who are wannabee actors, include Bottom, as well as Uma Incrocci, Stephen Humes, Scott Redmond, Liliane Klein and Doug Plaut. The flurry of fairies include Julia Estrada, Sara Courtemanche, Annemarie Agbodji, Katie Sasso, Jamie Hernandez, Gwendolyn Niles and Lindalee Czarnecki. Alejandro Lopez plays the Master of the Revels. They are all wonderful in their roles, up and down the staircase set, including the littlest fairy only five years of age. 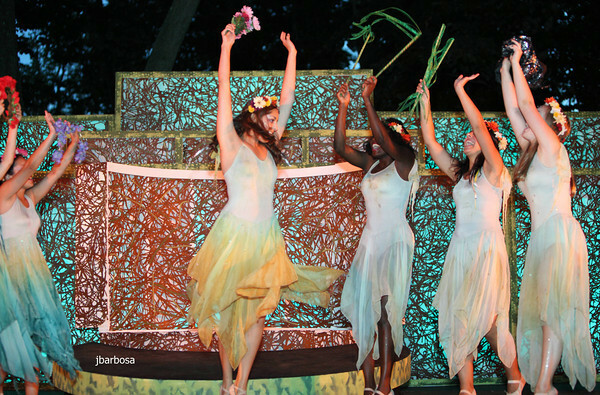 Performances are Thursday through Sunday at 8 p.m., outdoors under the stars. This is Connecticut Free Shakespeare's fourteenth season in Bridgeport and you may remember many fascinating productions at the Beardsley Park Zoo, with peacocks in attendance. This year they have moved to the grounds of the American Shakespeare Theatre in Stratford for early performances. The performances are free, but donations are most welcome. Even the intermissions are filled with song and dance. If it rains, the show is cancelled. Call 203-916-8066 with questions. Cupid is armed with love shafts that are tinged with flower power juice and go wildly astray in this heavily physical slapstick world created by the Bard centuries ago. 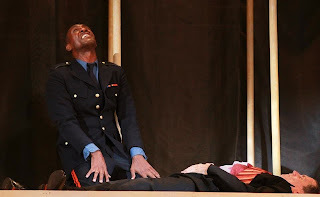 Let Connecticut Free Shakespeare, under the whimsical artistic direction and adaptation of Ellen Lieberman and executive production of Bert Garskof, bring this outstanding production to your avid attention. You don't have to actually be Italian to prescribe to Raeleen D'Agostino Mautner's philosophy of life. She is a self-help specialist who created a unique style of living after her husband of 32 years died suddenly. She had known him since they were toddlers so the loss was incredibly hard. Mautner turned to her Italian heritage, the rich rituals and way of life, the recipes and traditions, to get her through the difficult time. She feels everyone suffers great personal loss, of a loved one, a precious pet, a job, finances, and needs key ways to recover. "Lemons into Limoncello" (Health Comm. Inc $14.95). Mautner is passionate about her message, one she shares on her weekly radio show "The Italian Art of Living Well": on Monday mornings at 7 a.m. on 88.7 FM. 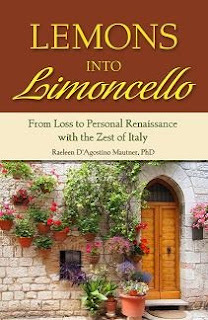 Writing "a self-help book with an Italian perspective," she advocates living a good life, La Dolce Vita. After her beloved Tom died, she felt "everything is my life became unrecognizable. My challenge was to change from a lemon to limoncello." Drawing from her PhD. in psychology and her Italian heritage, from her extended family, here and in Italy, she landscaped life changes. She likened her world to a mosaic which has chips and faded tiles and imperfections when viewed up close but looks perfect from afar. She believes strongly that we have the ability to get through everything life hands us and she has assembled tools for each stage. 1. Lascia Stare.Just Let It Be (for now). Take time to heal. Join a support group. Seek professional help. Assimilate the loss. 2. Piano Piano. Go slowly. (but surely) Do something to move toward recovery. 3. Reagire. Begin to React (concretely). As you feel stronger, move forward. Do some things automatically. Organize your life. 4. Avanti! Go forward into Life (with creativity). Get your life back in balance. Life is to be celebrated. Develop gratitude. Every single day is a gift. Come meet Raeleen Mautner at the Italian Festival of Angels on the North Haven Green on Friday, August 23 and Saturday, August 24 from 4-7 p.m. She will be honored with the Humanitarian Award from the American Committee on Italian Migration at Anthony's Ocean View Restaurant in New Haven on Sunday, October 27 at noon. Joel Spector has come a long way, geographically and career wise, since he arrived on American shores at the age of 12 from Havana, Cuba. An artist of national and international fame, he has done illustration work for decades, first in fashion work for accounts like Bill Blass and Christian Dior, and now he has branched out to oils and pastels and silverpoint drawings. Silverpoint is an ancient art form dating back to Leonardo da Vinci and was used by artists, scribes and craftsmen. It is made by dragging a silver wire or rod across a hard or soft surface in a fine line. Graphite, chalk and ink replaced silverpoint but Joel Spector has revised this stylized form of precise art. Lines once drawn can not be erased so it takes a clear hand and eye coordination to accomplish. A resident of New Milford, his work has been published in books for adults and children, magazines, advertising, newspapers and corporate annual reports. To view this award-winning work, visit the Community Room and Conference Room of the Easton Public Library all summer through September. If you happen to be cruising, look for Joel Spector's murals on the Royal Caribbean Line or on the walls of the John Pettibone Children's Library in New Milford. He has also painted such notables as Al Hirschfeld, Patrice Munsel, Celeste Holm and Eli Wallach. 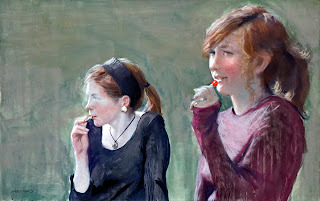 Go to www.joelspector.com for a virtual tour of his extensive works of art, from portraits to nudes to still life. In 2005, a friend presented writer Scott Burkell with a book, "Ella Minnow Pea" by Mark Dunn, a collection of letters that was destined to change his life and send him on a unique journey. That trip is culminating now, eight years later. 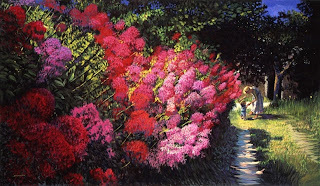 When Scott read Dunn's book, a parable or fable about life on an island paradise off the coast of South Carolina, he immediately heard singing and thought "musical in the making, with choral groups galore." Scott loves language and crossword puzzles and realized that the book was challenging and meaningful, dealing as it does with a threat to our indispensable freedom of speech. Holding his breath, Scott shared the satirical story with his writing partner Paul Loesel and found his reaction to this cautionary tale matched his own. 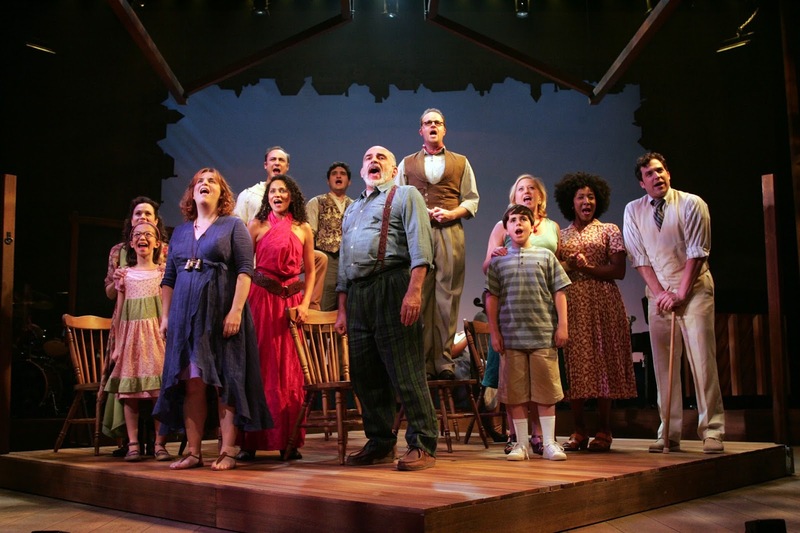 Now after working on the project off and on for a scant eight years, they are busily mounting their new musical, renamed "LMNOP," at Goodspeed's revered workshop theater, the Norma Terris, 33 North Main Street, Chester until Sunday, August 18. For tickets ($44), call 860-873-8668 or go online to www.goodspeed.org. Performances are Wednesday at 2 p.m. and 7:30 p.m., Thursday at 7:30 p.m., Friday at 8 p.m., Saturday at 3 p.m. and 8 p.m. and Sunday at 2 p.m. and 6:30 p.m. The island of Nollop was named for Nevin Nollop whose claim to fame was his authorship of a pangram, a sentence that uses all the letters of the alphabet. His immortal offering, "The quick brown fox jumped over the lazy dog," has long been a staple of the English language and it was emblazened on the base of Nollop's statue. What happens to this happy and peaceful square of land and its community when the letter "z" suddenly and mysteriously drops off the inscription and crashes to the ground? Is it a function of a poor adhesive or something more sinister? The powers that be, the members of the Island Council, forbid the use of the letter "z" in speech or writing, with a series of progressively abusive punishments if they are disobeyed. At first the loss of "z" in zipper, breeze and pizza doesn't seem so serious. But what happens when a series of other letters, like h, k, s, d and t follow until only "l,m,n,o,p" remain? A totalitarian state with Hitler-like overtones is suddenly created. It takes a teenage girl, Ella Minnow Pea, to raise the alarm and work to save her home. Today Scott Burkell and Paul Loesel are seeing the fruits of their labor of language and love. A lab production in New York City last fall brought the piece to the attention of Goodspeed's Executive Producer Michael Price and his associates. Scott feels it's "wonderful to be away from the critical eye of New York and it's exhilarating to work under pressure. We are locked in a room with a piano every day." On the morning we spoke, he and Paul were instituting "major changes that will pull the rug out from under the cast, but they'll be able to handle them." The show is now going to start-and end-differently. He conceded "It's a work in progress and as such is challenging. There are no easy changes." Working at the Norma Terris is "a really good supportive atmosphere." "LMNOP" is, at heart, a love story and a fable. It concerns "what happens when choice is taken away, how quickly rulings can get out of hand." 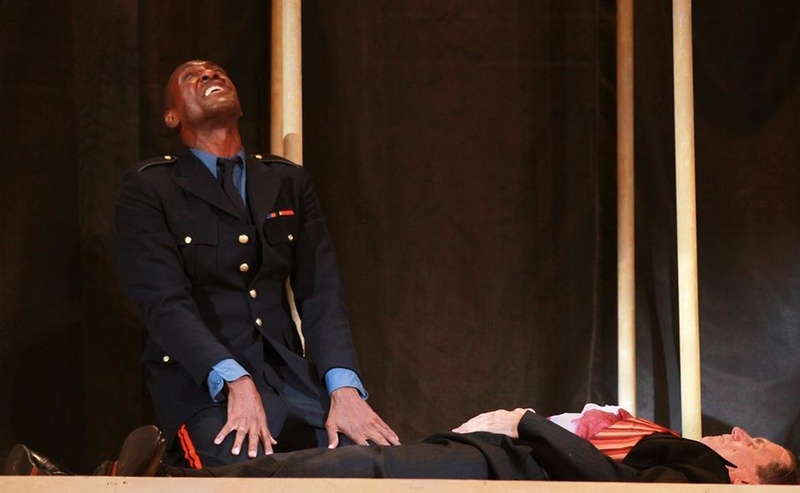 Because of the play's intense wordplay, the cast must "really listen and not adlib, because of the danger of accidentally saying illegal letters." The author Mark Dunn, a playwright himself, has been involved in the project. Joe Calarco is directing. As collaborators, Scott and Paul have been together for more than two decades. "We're the right fit, sympatico, true partners who hear each other's voices in our heads." Scott feels "whatever your cause is, you can relate it to this story. For Ella, it's freedom of speech." As to whether their sweeping changes are significant and right, "ripping off the right half of the show," you'll just have to come see the musical for yourself. Remember what a pangram is and, whatever you do, don't speak or write the letter "z." That means think carefully before you say "LMNOP" has a lot of "pizzazz." As super stars go, Diana Ross is at the head of everyone's top ten list. Performing for over five decades, she was the lead singer of The Supremes way back in the 1960's where she reigned on the charts with fourteen consecutive number one hits. Even The Beatles would have trouble beating her record. An international star, she does more than sing. She has been nominated for an Oscar for the motion picture "Lady Sings the Blues" for her role as Billie Holiday, as well as starring in movies "Mahogany" and "The Wiz." With her own recording company, she has produced her last five television specials in addition to made-for-television films that have been critically acclaimed. Her 2013 tour has taken her to Brazil, Uruguay, Argentina and Chile and will deliver her to Hartford's Bushnell Center for the Performing Arts for one glorious performance only on Tuesday, August 13 at 8 p.m.
For Ms. Ross, "each performance feels like a celebration." She finds touring exciting and each place she sings feels brand new to her, a new adventure, even if she's returning. Performing makes her feel good. She considers her backup band wonderful and "we have a good time and fun. We've been together a long time and we're like family. I have a joyful time performing." On tour, she wears many hats, "as producer, organizer, and parent or mother on the road to make sure they're (the band) all well." Traditionally, "I select the music, the costumes, the lighting." She values her interaction with the audience, emphasizing the harmony and making it all work together, professionally. She wants good energy to flow back and forth, for that is "phenomenal and exciting and special." 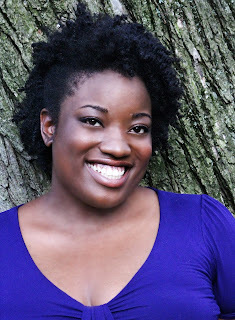 In presenting good music, with a good sound, she prefers songs with positive images, from nature, like "I Will Survive" and "Ain't No Mountain High Enough." For her, this is what the show is all about. To Ms. Ross, "Music is like love. It feels good. It's about sharing. It's very special. Music is like the heartbeat of our world." 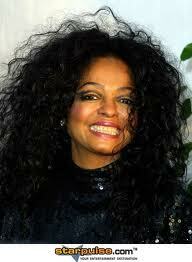 Diana Ross freely admits, "I do what I do because I love it. Your career is to share your God-given gift." For tickets ($49.50-179.50), call the Bushnell, 166 Capitol Avenue, Hartford at 860-987-5900 or online at www.bushnell.org. With her wild mane of black hair, her divine voice, her parade of incredible costumes and her dynamic presence, let Miss Diana Ross share her God-given gifts with you on Tuesday, August 13 at 8 p.m. at the Bushnell. She will be singing directly to your heart.